Today marks the first ever World Calligraphy Day and, as National Stationery Blogger of the Year, I wanted to share a couple of ways for you to get involved. Over at the Pen Museum in the heart of Birmingham's Jewellery Quarter, the Manuscript Pen Company are hosting world renowned creative artists to celebrate calligraphy and hand lettering trends - many of which you've probably seen on quotes on Pinterest or in videos on Instagram. 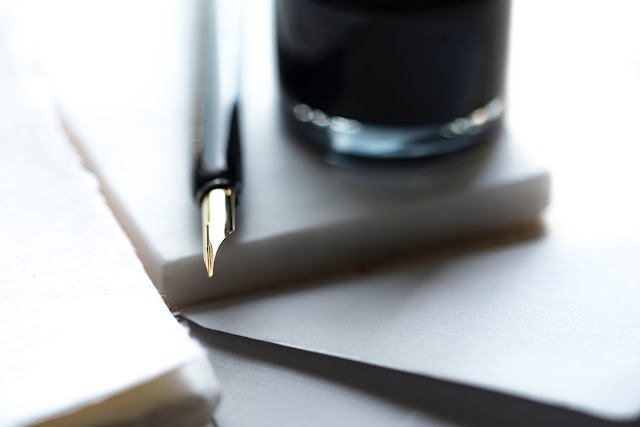 It's a perfect opportunity to explore the Pen Museum too, learning about the history of the trade, starting with quills and working your way through to the modern day fountain pen. 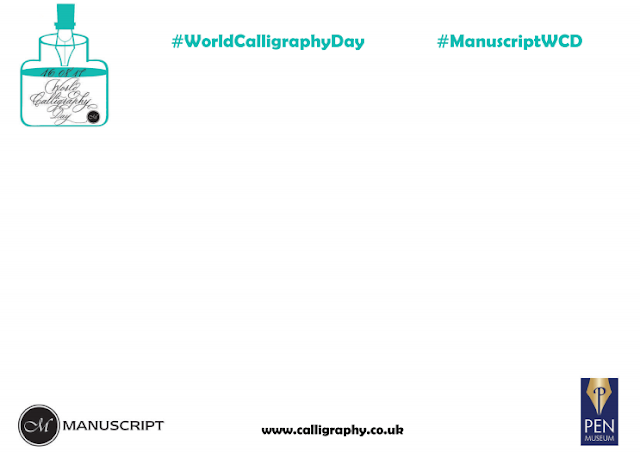 If you can't get over to the event then the Manuscript Pen Company have provided a practice sheet which you can download by clicking on the image below! You can find lots of calligraphy tutorials on YouTube both for beginners and for using different styles of pens and you can get started with any angled pen. There's lots of lovely starter kits in the Manuscript Pen Company shop and there's even a number of apps for your tablet to help you master the basics. If you're looking to brighten up your bullet journal with headers and doodles then this could be the just the hobby for you. Six Podcasts You Should Be Listening To Now! Fancy A Game Of "Celebrity Photo Swap"?